To be a mother is to forever have your heart walk around outside your body. The brain of a mother is always at work planning and organizing what is best for her baby. Nutrition, hygiene, sleep, learning skills & behavioral development are few key issues important for overall development of the baby. As a child there is so much to explore everyday, feelings to experience, world to discover & much more to touch and learn. A baby’s skin is so smooth, soft and delicate that extra attention and proper knowledge is required for proper care. Do you know there is an interesting connection between softness in a diaper and a baby’s sleeping pattern? The baby should sleep atleast 12 to 14 hours in a day which ensures proper development of the baby. Disposable Diapers/Pants are essential part of baby’s upbringing till the time baby is not toilet trained. It’s much more convenient, hygienic and comfortable for babies as compared to cloth nappies. The lesser the baby notices, the more he can feel free to focus on exploring the world which helps in cognitive, mental and physical development of babies. Keeping in mind the soft, smooth and delicate skin of the baby and also baby’s preference to softer things like soft toys, soft blankets and soft apparels, Pampers have introduced the Pampers Premium Care Pants which are so soft and dry that your baby won’t even notice them. Materials are chosen keeping in mind the tender skin of the babies. Materials are so soft to provide proper comfort to the baby. I could actually feel its exclusive softness. We chose everything best for our baby- softest blanket, soft cotton clothes, soft bed then why not softest diapers??? The softness of the Pampers Premium Care Pants stands incomparable. The new Pampers Premium Care Pants come with all around waistband consisting of superior quality stretching elastic. The fit of the pant is utmost comfortable leaving no marks on the baby’s soft skin. The soft cuffs of the pants are so fabricated so as to minimize leakage. It’s actually so soft and dry that baby won’t even notice. Baby feels light and comfortable also ensuring uninterrupted sleep. Soft cuffs also aid in extra comfort when the child is running or walking providing undistracted exploration and feeling of freedom. 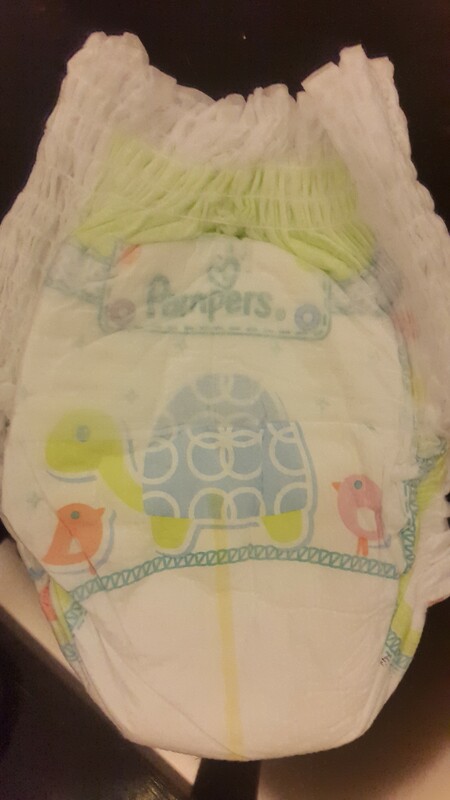 Pampers core quickly absorbs helping keep wetness away from the skin to help skin protection. Babies tend to cry and become cranky as feeling of being wet really disturbs them. Changing of diapers frequently is also not an easy job with babies who are always on the move. The new Pampers Premium Care Pants come with absorbent magic crystals which can lock substantial liquid and prevent wetness from appearing on the inner layer of the pant and still make the baby feel dry and fresh. The new Pampers Premium Care Pants are designed with drops of lotion to protect the baby’s precious skin from developing ugly rashes. When the baby pees, the PH level is affected resulting in rashes of the skin. Baby lotion helps counter this and in turn makes the skin soft and fresh. The new Pampers Premium Care Pants come with an exclusive feature of wetness indicator which turns blue from yellow when in contact with fluid. It’s a troublesome task to keep checking baby’s pants deciding the correct time to change. Wetness Indicator feature is the first of its kind and is sure to give a big relief to mothers. The pants come with ‘Roll n Dispose” feature too which makes it all the handy and hygienic in terms of disposal. The Pampers Premium Care Pants are surely the best and first of its kind. Best comfort, best skin, best sleep, best touch & best play are few important essentials a mother can gift her baby!!! 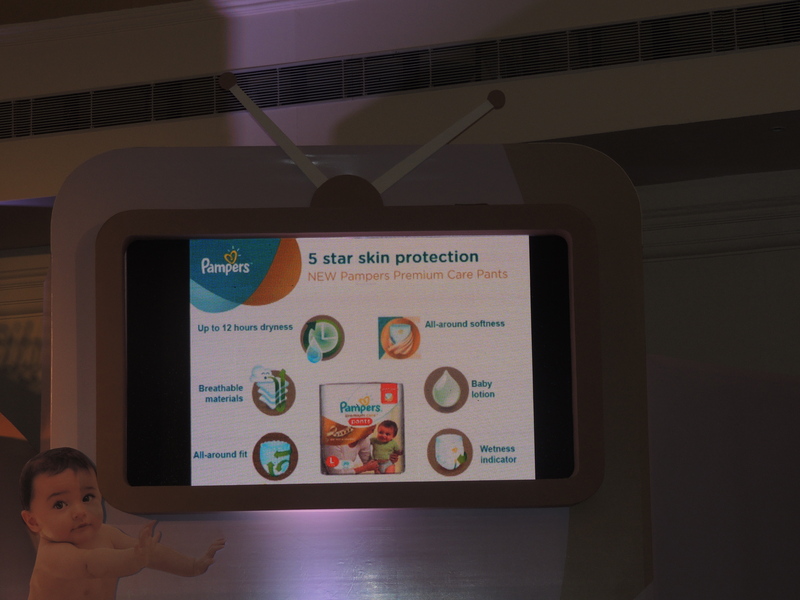 The Pampers Premium Care Pants are sure to be trusted by mothers for endless years to follow with its exclusive features which provide 5 star skin protection to the tender, soft and delicate babies.